Salesforce Service Cloud is the industry leading Customer Support Platform. As a product design lead, I established the product vision, end-to-end user experience, and provided thought leadership within my respective product domain. Salesforce Einstein Bots is chat automation for customer support. Simplfy basic customer requests, and leverage bots to allow customers to self-serve basic support issues. With the power of Salesforce's CRM, businesses are now able to quickly build a bot that delivers tailored experiences to each chat engagement. 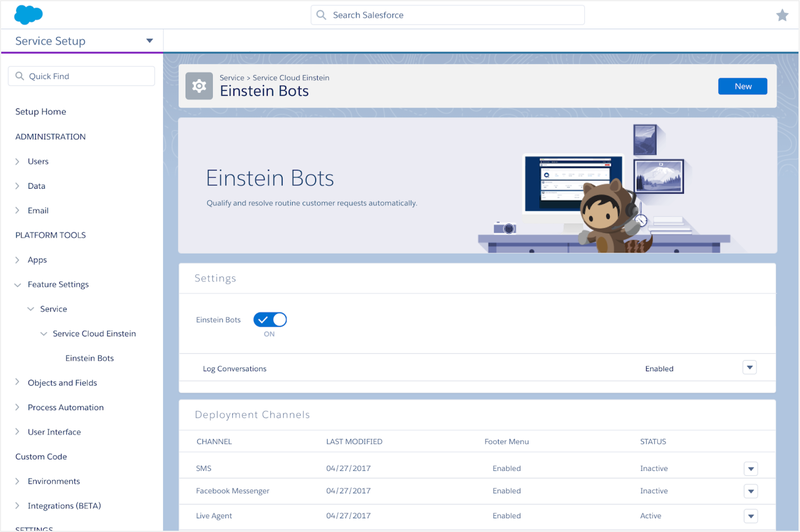 As the design lead for Salesforce Einstein Bots, I co-established the product direction from conceptulization to delivering the product to a generally available market. Service Console is the core customer support product offering in Salesforce Service Cloud. 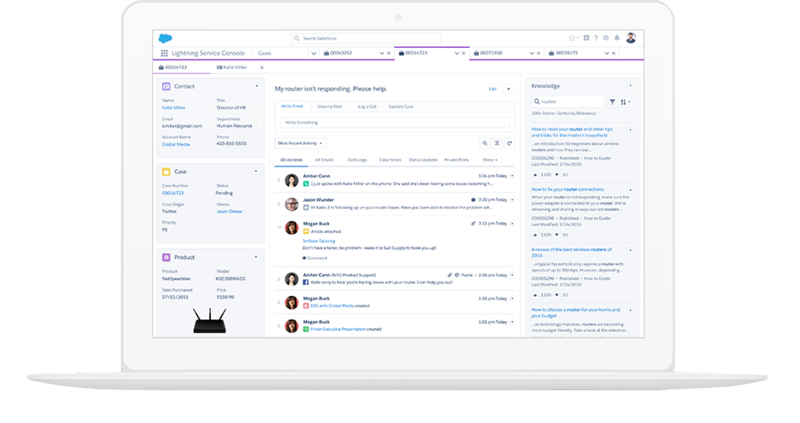 With the power of Salesforce Lightning, I led the effort to re-imagine the Service Console with a new modern UI with an enhanced productivity for our users.